Future Designs, Inc. is a full service design and production company with hardware, software, mechanical and system level expertise and a 25 year history of proven success. 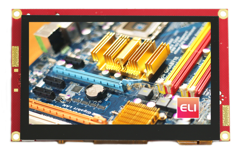 Our ELI™ and uEZ™ GUI Family of products for Touch Screen LCD GUI and HMI applications provide “Off The Shelf” solutions that allows customers to quickly and cost effectively upgrade their User Interfaces. Products are available with LCD’s from 3.5” to 15.0”, resistive touch and PCAP options. FDI can take your concept all the way from the back of a napkin, through design and prototypes, to high volume production, branded with your logo and shipped directly to your end customers. Please give us a call at (256) 883-1240 to find out how we can help make your product a success. Visit FDI on the web at www.teamfdi.com. The µEZ® GUI product family is FDI’s standalone microcontroller-based solution for the easy integration of modern human machine interfaces (HMI) into a variety of end applications. Each µEZ GUI product includes a display with supporting hardware and FDI’s open source µEZ / FreeRTOS software. 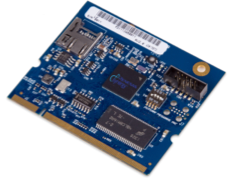 µEZ GUI development kits include everything needed to begin a design including demo software, JTAG debugger, power supply, cables, microSD card and full documentation. mEZ GUI production modules are available for completed designs as prototypes through high-volume production.